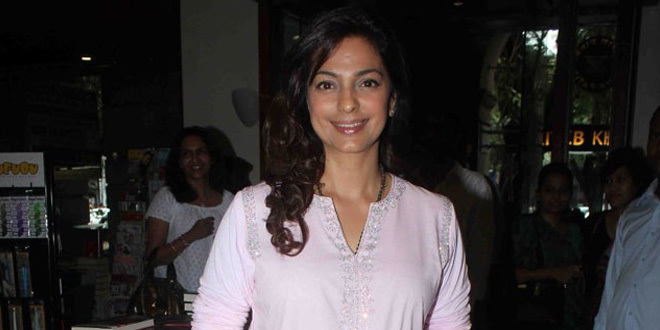 Plastic Pollution: Juhi Chawla Suggests A Plastic Bag Alternate Used In Indonesia, This Might Work! New Delhi: Everybody’s favourite actress from the 90’s and the early 2000’s, Juhi Chawla may have found the most suitable alternate to plastic bag for India. Ms. Chawla tweeted a video of the bio-degradable bag being used in Indonesia widely, as an alternate to the infamous plastic bags, since the country banned single-use plastics back in December 2018. The video shows a carry bag that looks exactly like a plastic bag, but is originally made of vegetable roots. What’s more? As seen in the video, the bag is soluble in water, biodegradable and compostable. Bali Island, Indonesia, banned plastic bags from being used and replaced with bags made from vegetable roots. The nice thing about it is that it is 100% biodegradable and melts in water. We hope to see these bags in our country. !! The video, shared by Ms. Chawla, indicates that since the bag is made from the roots of Cassava, the water is not polluted and remains drinkable, but is not ‘very tasty,’ as the man in the video says. The veteran actress has in the past expressed her opinions on various environment related issues and now hopes that India bans and finds a suitable replacement to combat the plastic menace, with the video. Plastic, a widely used item has become a major threat to human as well as marine life. According to United Nations, 80 per cent of all the pollution in the ocean, comes from the people dumping plastic irresponsibly. About 8 million tonnes of plastic ends up in the oceans every year, wreaking havoc on wildlife, fisheries and tourism. Plastic pollution costs the lives of 1 million seabirds and 100,000 marine mammals per year. While on land, plastic and plastic items end up on landfills and may take more than 500 years to decompose, experts say. Realising the hazards of plastic, India has committed to eliminate single-use plastic by 2022, maybe this could help?